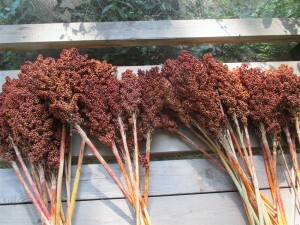 This grain sorghum comes from South Sudan. 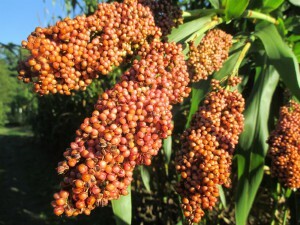 It is used as a popping sorghum but can also be used for syrup as it has a high brix and sucrose content. The plants are very drought tolerant. They can reach upwards of 8′ to 9′ in height. It is described as not having any problems with lodging, but I did notice many of the top-heavy seed heads will “droop” over. It may be helpful to provide some type of support. This sorghum popped up very nicely with a great flavor. Over 90% of the kernels popped! I harvested the seed heads in 125 days from direct seeding in mid-May. Like most grain sorghum, you may want to protect from birds once seed heads begin to ripen. CAUTION: Fresh sorghum leaves after frost can develop a toxicity to cloven-hoofed animals. 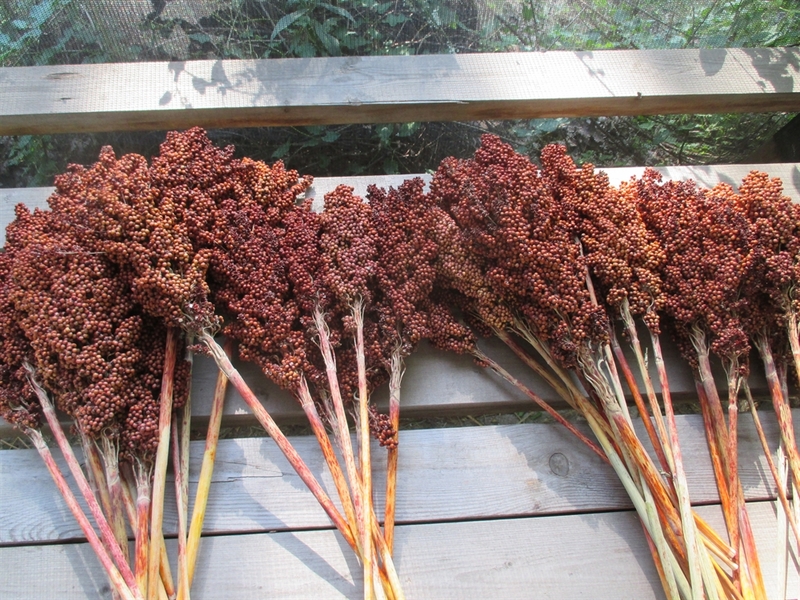 Seed Saving: Isolate sorghum varieties by 1/2 mile.